The donation per hymnal is $20. There is no limit on how many can be commemorated. 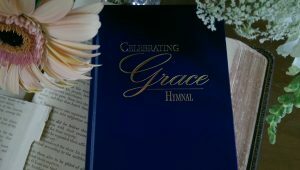 Hymnals can be donated in memory/honor of loved ones, or to the Glory of God. The information you give will be listed on a label inside the front cover of each hymnal you donate. Please fill out this form and return it with payment—cash or check made out to Boiling Springs Baptist Church. You may also come by the church office to pay with a credit card, or pay online using the Online Giving button on the home page and then selecting Hymnals from the drop-down menu. Bring or email this form to the office to record your donation if you purchase a hymnal.